He has been actively engaged in the auction and the appraisal profession since in 1977. He is a graduate of St. Joseph’s University, and a graduate, past President and Chairman of the Certified Auctioneers Institute. He is also a past President of the Industrial Auctioneers Association. He holds an ASA/Senior member designation with the American Society of Appraisers in the Discipline of Machinery and Technical Specialties. 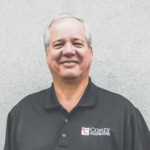 Some of his memberships include: Machinery Dealers National Association, various State Auctioneers Associations, Industrial Auctioneers Association, American Society of Appraisers, and Turnaround Management Association. He has been actively engaged in the auction, real estate and appraisal profession since 1978. He is a graduate of Widener University, and a past president of the American Society of Appraisers for the Philadelphia Chapter. He holds an ASA/Senior Member Designation with The American Society of Appraisers in the Discipline of Machinery and Technical Specialties. A licensed Auctioneer for over 39 years and a member of the National Auctioneers Association. He is a licensed real estate broker in Pennsylvania and New Jersey. Other memberships include: Machinery Dealers National Association, Industrial Auctioneers Association, and various State Auctioneers Associations. He has been actively engaged in the auction profession since 1976, upon his graduation from Marquette University. He oversees the entire office and warehouse personnel and is intimately involved in the management of every auction sale. He donates his time and expertise in assisting to raise over $2,000,000 annually for national and local charitable organizations and schools. He is a licensed auctioneer with over 40 years of experience. Some of his memberships include: the National Auctioneers Association, various State Auctioneers Associations and the Machinery Dealers National Association. He has been actively engaged in the auction, real estate and appraisal profession since 2005. He is a graduate of the University of Scranton and of the Certified Auctioneers Institute and holds the CAI designation. He has participated in over 350 industrial auction sales nationwide. He holds an ASA/Senior Member Designation with The American Society of Appraisers in the Discipline of Machinery and Technical Specialties. He has conducted over 200 appraisals of machinery and equipment for a variety of financial institutions and legal firms. He is a member of the National Auctioneers Association, Pennsylvania Auctioneers Association, American Society of Appraisers, Machinery Dealers National Association, Industrial Auctioneers Association and the New Jersey Bankruptcy Trustee Association. He has been actively engaged in the auction and appraisal profession since 2004. He is a graduate of West Chester University, the Mendenhall School of Auctioneering, and the Certified Auctioneers Institute. He has participated in over 350 auction sales nationwide. He holds an ASA/Senior Member Designation with The American Society of Appraisers in the Discipline of Machinery and Technical Specialties. He has conducted over 200 appraisals of machinery and equipment for a variety of financial institutions and legal firms. He is a member of the American Society of Appraisers, National Auctioneers Association, Pennsylvania Auctioneers Association, Machinery Dealers National Association and the New Jersey Bankruptcy Trustee Association. He has been actively engaged in the auction profession since 2007. He is a graduate of Kutztown University. He has participated in over 275 industrial auction sales nationwide. He is currently an apprentice auctioneer working towards obtaining his auctioneer’s license. As an auction manager he prepares industrial facilities for auction. He streamlines the auction preparation process and enables us to present the assets for sale in a manner that will maximize the value of the assets. The auction manager oversees the entire auction workforce and remains involved in the auction project from beginning to end. This allows our clients to communicate on a continual basis with a single auction manager. Learn more about our staff’s areas of expertise here.